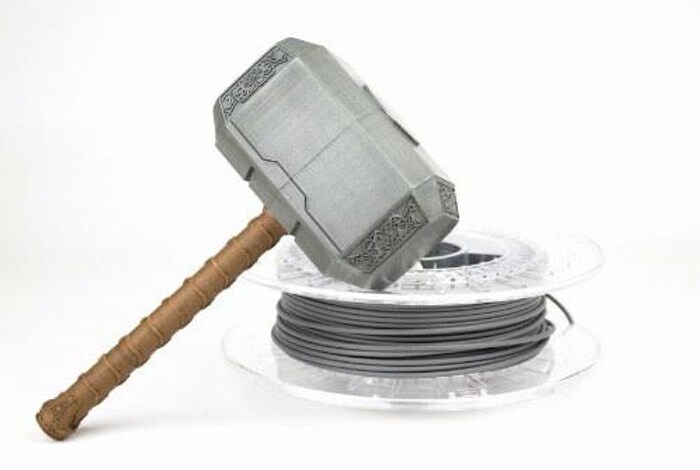 ColorFabb the creator of specialist 3D printing filaments has this week unveiled a new addition to their range in the form of the ColorFabb SteelFill 3D printing filament, which as the name suggests is perfect for creating metal based 3D printed objects. The latest metal 3D printing filament follows on from the launch of its first metal filament back in 2014 in the form of bronzeFill , followed closely by brassFill. The new filament has been specifically designed for optimal performances on the Ultimaker 2, Makerbot Replicator 2, and others. You will be able to purchase the new ColorFabb SteelFill 3D printing filament during the summer months of this year and it will be officially launched at the AM Show Europe in Amsterdam, and will be available to consumers through ColorFabb’s webshop this summer. As soon as more information is made available regards the new ColorFabb SteelFill 3D printing filament and its availability we will keep you up-to-date as always.